[164 Pages Report] The data wrangling market size was valued at USD 1.09 Billion in 2017 and is expected to reach USD 3.18 Billion by 2023, at a Compound Annual Growth Rate (CAGR) of 19.7% during the forecast period. The base year considered for this report is 2017 and the forecast period is 2018–2023. The main objective of this report is to define, describe, and forecast the global data wrangling market by business functions, components, deployment models, organization sizes, verticals, and regions. The report analyzes the major factors influencing the market growth, such as drivers, restraints, opportunities, and challenges. It aims to strategically analyze the micromarkets with respect to individual growth trends, prospects, and their contribution to the market. The report attempts to forecast the market size for 5 major regions, namely, North America, Europe, Asia Pacific (APAC), Middle East and Africa (MEA), and Latin America. It contains key vendor profiles and comprehensively analyzes their core competencies. 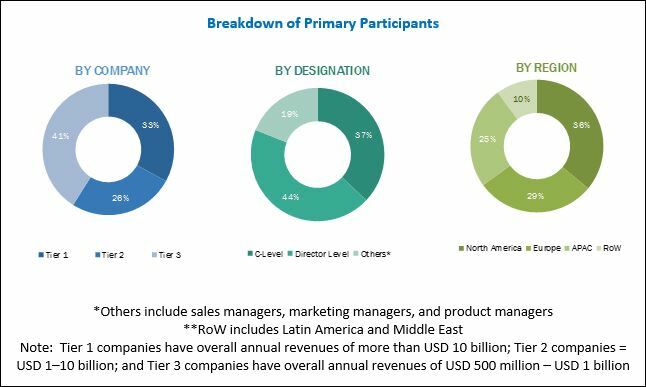 Moreover, the report tracks and analyzes competitive developments, including partnerships, collaborations, acquisitions, new product developments, and R&D activities in the market. The key vendors of the data wrangling market are Trifacta (US), Datawatch (US), Dataiku (France), IBM (US), SAS Institute (US), Oracle (US), Talend (US), Alteryx (US), TIBCO (US), Paxata (US), Informatica (US), Hitachi Vantara (US), Teradata (US), Datameer (US), Cooladata (US), Unifi (US), Rapid Insight (US), Infogix, (US), Zaloni (US), Impetus (US), Ideata Analytics (India), Onedot (Switzerland), IRI (US), Brillio, and TMMData(US). Product matrix gives a detailed comparison of product portfolio for each company. The global data wrangling market is expected to grow from USD 1.29 Billion in 2018 to USD 3.18 Billion by 2023, at a Compound Annual Growth Rate (CAGR) of 19.7% during the forecast period. A rapid increase of data volumes across industry verticals is triggering organizations to incorporate advanced analytics algorithms in their systems to gain substantial insights that help them to stay competitive. The proliferation of data across verticals is one of the main growth for the market. The report provides detailed insights into the global data wrangling market based on business functions, components, deployment models, organization sizes, verticals, and regions. Among the component, data wrangling tools are expected to have the largest market size during the forecast period. With the proliferation of data, the data wrangling tools are expected to be adopted at a rapid pace, as they are a precursor to the analytics workflows. A typical data wrangling tool encompasses functions, such as reformatting, de-duping, filtering, and cleaning data, so that proper analysis could be done. Moreover, data wrangling tools offer the self-service data preparation model that helps organizations to clean the data sets by themselves without involving data scientists. This has effectively empowered the executives to gain business insights without the intervention of IT teams. The on-demand deployment model is expected to have a high adoption rate as compared to the on-premises deployment model. By using cloud-based deployment, organizations can avoid a large amount of cost pertaining to hardware, software, data, maintenance cost, and staff. The BFSI vertical is expected to hold the largest market size during the forecast period. Data wrangling tool leverages various capabilities specifically for banking and financial institutes, such as data discovery from numerus sources and formats, integration with existing tools, fraud detection, risk management, and higher operational productivity. The report covers all the major aspects of the data wrangling market and provides an in-depth analysis in North America, Europe, Asia Pacific (APAC), Middle East and Africa (MEA), and Latin America. The market in North America is expected to hold the largest market share. The APAC region is projected to provide significant opportunities to vendors in the market and is expected to grow at the highest CAGR during the forecast period. APAC, being a manufacturing hub, is expected to adopt the data wrangling substantially, to remain cost efficient and export high-quality goods to other countries. Reluctance to shift from traditional ETL tools to advanced automated tools is the major restraining factor for the growth of the market. Lack of awareness of data wrangling tools among SMEs, and concerns regarding data quality are the major challenges for the data wrangling market growth. Most of the vendors in the data wrangling market have adopted various growth strategies, such as acquisitions, agreements, collaborations and partnerships, new product launches, product upgradations, and expansions, to expand their client base and enhance the customer experience. For instance, in March 2017, Trifacta collaborated with Google to create Google Cloud Dataprep. This solution would enable Google to help enterprises shift their data to the cloud, where in Trifacta would help them resolving their data wrangling challenges. *Details on Business Overview, Solutions/Software Offered, Recent Developments, SWOT Analysis, and MnM View Might Not Be Captured in Case of Unlisted Companies.